Jaime Samour was born in El Salvador, Central America. He graduated as Veterinary Surgeon with Honours at the Faculty of Veterinary Medicine in Veracruz, Mexico in 1978. He spent 7 years studying at the Institute of Zoology, London Zoo devoting most of his time to reptilian and avian medicine. Jaime was awarded a PhD degree by the Royal Veterinary College, University of London in 1987. Immediately after, Jaime moved to the Middle East where he has worked ever since, first in the Kingdom of Bahrain and then in the Kingdom of Saudi Arabia and the United Arab Emirates. Jaime is author and co-author of over 160 scientific publications in journals and magazines, the author of 12 book chapters and the editor of two books on avian medicine. He was recipient of the Ted Labefer Avian Practitioner of the Year Award in 2006 and the British Veterinary Zoological Society/Parke-Davies/Upjohn Award in 1998. Jaime is a Diplomate of the European College of Zoological Medicine. He currently runs an extensive wildlife collection in the emirate of Abu Dhabi. •	Cross transmission of viral infectious diseases (e.g. Foot and mouth disease) between domestic livestock (e.g. sheep) and captive wild ungulates (e.g. 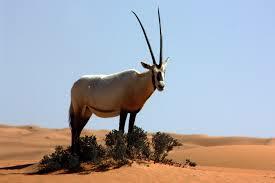 Arabian oryx, gazelles) maintained in captive breeding programmes through the region. •	Implementation of quarantine regulations across borders. •	Carrying out effective vaccination programmes in both domesticated livestock and wild ungulates in captivity. •	Consistency in reliable response during outbreaks and adequate dissemination of information during and after the events.